Let B.S.F. coaches design and coach your team’s sports performance training. Team training is a great way to gain an advantage over the competition, while simultaneously providing a unique team bonding experience. 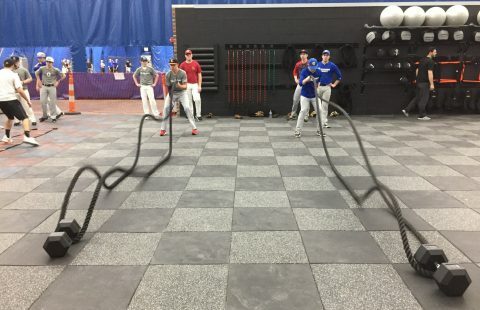 Team programs are fully comprehensive and address all aspects of sports performance including: mobility, power & strength, speed & agility, and conditioning. Team training sessions are 60 minutes long and are available based on scheduling availability. Contact our front desk at 614-528-4555 or email frontdesk@bjescolumbus.com for more information and scheduling.